This is a very interesting article on sugar content that I found on the BBC web site. Many supposedly “healthy” fruit snacks aimed at children contain more sugar than sweets, says a campaign group. 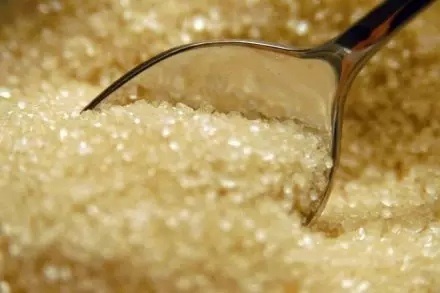 Action on Sugar looked at 94 products on UK sale, such as coated dried fruit, and found a third contained three or four teaspoons of sugar and 85% were more sugary than Haribo Starmix sweets. Child health experts said the findings were frightening. The industry pointed out that most of the snacks had no added sugars, and those that did were clearly labelled. Action on Sugar said that parents should give their children fresh fruit and vegetables instead of processed fruit snacks. And it called on food manufacturers to stop adding unnecessary sugars to fruit-based snacks while labelling them as contributing to “one of your five a day”. Katharine Jenner, campaign director at Action on Sugar, said: “Parents find it hard enough to know what ‘healthy’ is without food manufacturers confusing matters with misleading claims. A child would have to eat an entire punnet (240g) of strawberries to take in the same number of grams of sugar as in some processed fruit snacks. Colin Michie, chairman of the nutrition committee at the Royal College of Paediatrics and Child Health, said the findings were “stunning” and “frightful”. Fruit Factory Sports Mix-Ups (5x18g) – 81g of sugar per 100g* or 3.6 teaspoons** of sugar per serving Yogurt Coated Strawberry Fruit Bites 70.1g of sugar per 100g or 4.4 teaspoons of sugar per serving Fruit Bowl Fruit Flakes Raspberry Rush (25g) – 69g of sugar per 100g or 4.3 teaspoons of sugar per serving Sunny Raising Coated Custard Raisins (25g) – 68.6g of sugar per 100g or 4.3 teaspoons of sugar per serving Organix Goodies Organic Fruit Gummies strawberry and apple (12g) – 67.2g of sugar per 100g of the snack or 2 teaspoons of sugar per serving Source: Action on Sugar *Haribo Starmix contains 47g of sugar per 100g **One teaspoon of sugar is equal to four grams of granulated sugar Mr Michie said sugar reduction targets were necessary to persuade children and adults to change their eating habits. This would mean food manufacturers gradually reducing the amount of sugar they add to food over time. However, Barbara Gallani, director of regulation, science and health at the Food and Drink Federation, said: “Dried and pureed fruit and vegetables count as part of your ‘five-a-day’ under government guidance, alongside fresh, tinned and frozen. Katharine Teague, head of advocacy at the international company AB Sugar, said it was important to consider “the many contributory factors”, such as lifestyle and diet, in tackling obesity. She added that manufacturers were required by law to provide nutritional information on all pre-packaged foods and drinks found in the UK. Aubrey Sheiham, emeritus professor of dental public health at University College London, said fruit snacks with high levels of hidden sugars were causing problems with children’s teeth. Latest figures show that tooth decay currently affects nearly 30% of five-year-olds. Meanwhile, around 34% of girls and 33% of boys aged 11 to 15 are overweight or obese. A Department of Health spokesman said tackling obesity and reducing sugar intake was a major priority. “We have already taken billions of calories out of the food and drink market over the past few years by working with industry, and we continue to consider our next steps,” he said. ← Is your desk job killing you?